Hello fellow bloggers! I am beyond excited to say that my little blog has been nominated for an award! And I’m happy to share the story of how A Pinch Of Sea Salt began and hopefully divulge a useful tip or two about my blogging experience! I hope a few of my wonderful readers might enjoy the story! 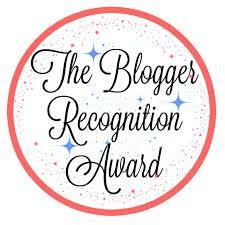 First of all, I would like to send a huge thank you to Tricia, who nominated me for the Blogger Recognition Award. Honestly – thank you so much!! For anyone reading who hasn’t had the privilege of checking out Tricia’s blog, Sometimes I Cook, take a moment to take a peek at her site and enjoy all that it has to offer. I guarantee that you’ll be glad you did! I only caught on to “Sometimes I Cook” recently, but I can say that I am truly enjoying being a follower. On Tricia’s site, you can find posts on a variety of topics, from DIY projects to recipes. Writing a food blog myself, the recipes were what first appealed to me, but I find myself always enjoying her musings and creative projects. I might also add that “Sometimes I Cook” is filled with beautiful photos, and every post is well written – a big plus in my book! Seriously, check it out! As part of accepting this award, I’ve been asked to share the story of how my own blog began. Well, I suppose ‘A Pinch Of Sea Salt’ took form for a few reasons. The first is probably my enjoyment of cooking and baking, and the creativity that goes into those activities. Together with my husband, who is a professional chef, I spend a lot of time in the kitchen preparing all types of dishes, both for ourselves and our small restaurant. My love of cooking, and particularly baking, just became a natural motivation to share the recipes we enjoy and the stories behind them. And what better way to do that than on a blog?! In another sense, ‘A Pinch Of Sea Salt’ is a lot about me. While my husband and I cook together, I’m the writer and the photographer of this site. And I absolutely love that. Both writing and photography are other interests of mine, and they tie in beautifully to the sharing of recipes and experiences, culinary and otherwise. So far, it’s been six weeks of happily blogging my way through my favorite hobbies! As for blogging advice, I am still fairly new at this, but will do my best! Simple as it may sound, what has worked for me so far is making sure that my content is the best quality that I can achieve. When you have interesting and well presented content (and a great title and photos to go with it! ), you capture a reader’s attention. There’s something about sharing recipes and ideas that are well edited and thought out that is really satisfying, and I always hope that readers appreciate that too! And that’s it! To see the details of the Blogger Recognition Award, click on the link below the following image, which will take you to the original post on ‘Edge Of Night’. Again, thank you for your nomination…it’s my very first award! It is still making me smile! Of course! Your blog is so beautifully designed and always a great read – definitely well deserving!